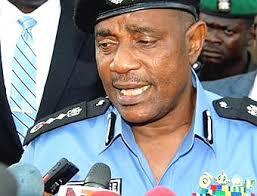 The Inspector-General of Police (IG), Mr Solomon Arase, has approved the deployment of a helicopter and more policemen to Kogi to checkmate the increasing rate of kidnapping and armed robbery in the state, P.M News reports. The Governor, Alhaji Yahaya Bello, while addressing newly deployed policemen in Lokoja on Tuesday, said the helicopter was for aerial surveillance. Among the deployed policemen are members of the Special Anti-Robbery Squad and four detachments of mobile policemen and trackers. He said the police had been provided sophisticated security equipment and that the helicopter had since commenced aerial surveillance of suspected criminal hideouts in the state. Bello said that it was hoped that the incidence of kidnapping, armed robbery and other violent crimes in parts of the state would soon be history. He thanked President Muhammadu Buhari and the IG for their intervention in the situation in the state. The governor said that kidnappers and other criminals would not be allowed to operate in the state as the security agencies had been directed to go after criminals and smoke them out from their hideouts. He also said that local governments in the state had been directed to constitute vigilance committees to complement the efforts of the security agencies. Bello said that the committees, to be made up of traditional hunters, ex-servicemen and other relevant groups, would assist in intelligence gathering. He said the government would soon embark on some job creation programmes in agriculture to check youth restiveness and divert youths’ attention from crime. Bello promised that security of life and property would continue to be a priority to his administration and urged Kogi residents to assist by reporting suspicious movement and people promptly to security agencies. Earlier, while presenting the helicopter and policemen to the governor, the Commissioner of Police in Kogi, Mr Usman Yakubu, said a lot had been achieved in the fight against criminals since the arrival of the helicopter and policemen. “With this helicopter, we can easily track down either kidnappers or robbers operating in the state. “The aerial view gives us full details of the suspected criminals while operating,” he said.